Solar panel arrays allow home and business owners to reduce their utility bills and break free from harmful fossil fuels. For those who like to track their progress carefully, and take note of just how effective their solar panel installation is, a solar panel monitoring system is ideal. In a previous blog, we here at Gardner Energy covered what these systems are. We thought we’d follow up by explaining some of the benefits that these systems can offer those here in Salt Lake City. One of these things that those with solar panels love to track is how much money they’re saving. It’s not uncommon for solar panel owners to produce enough electricity over the course of a month to completely free themselves from their monthly utility bill. For those who are interested in finding out exactly how much electricity their solar panel installation is producing, the monitoring software is the best way to do it. At Gardner Energy, we use Enlighten monitoring software by Enphase Energy because it tracks a wide variety of data points and statistics, offering you the best sense of what your array is doing for you. You can check your system’s production levels every day, week, month, year, or even the total amount of electricity produced over the entire lifetime of your solar panel! Most solar panel arrays are fairly trouble free. The panels themselves are durable enough to resist the elements, like snow, hail, and even the occasional fallen tree limb. However, that doesn’t mean that these systems are entirely immune to problems. For those without a monitoring system, you might not be aware of any issues your array is experiencing until you start to see an unexpected increase in your energy bill. A monitoring system not only monitors the efficacy of your solar panel system but also its health. If your system starts experiencing an issue, like a damaged or faulty panel or wiring, the system can alert both you and your solar panel installation company. This ensures that any problems are being addressed quickly. While many solar panel systems are already eligible for a litany of tax advantages and breaks, a solar panel monitoring system may help you save more money. In some cases, some tax advantages are only offered to those who use systems that meet a certain efficiency threshold. 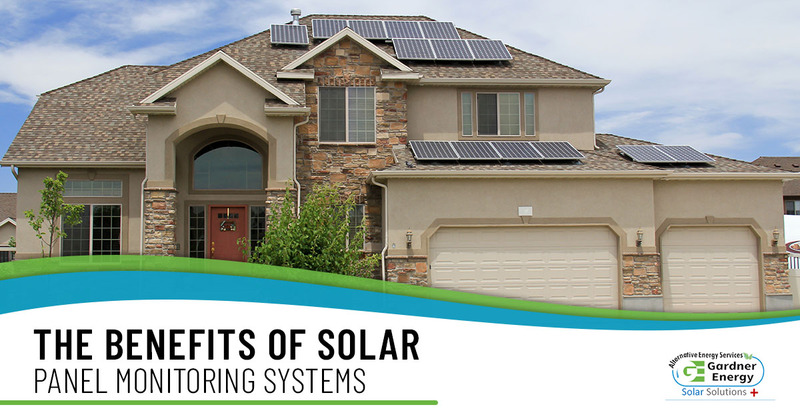 To get these benefits, you’ll want to make sure that your solar panel installation is working at its peak capacity, and a monitoring system can help you do that. Ready To Go Solar? Call Us Today! Gardner Energy is excited to help your Salt Lake City home or business embrace the power of alternative energy sources like solar power. Call us today to ask about our solar panel installation process, our solar panel monitoring systems, and of course, get your free quote!